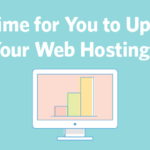 ﻿ Is It Time for You to Upgrade Your Web Hosting? » Red Mango Marketing! Is It Time for You to Upgrade Your Web Hosting? When you’re first launching a business website, the sheer breadth of hosting options can seem overwhelming. In the beginning, it’s often safe to figure you can rely on one of the more basic plans to start and then upgrade when the time comes. Now, you may be wondering if it’s time to give your hosting plan an upgrade. As your business grows and your website has a bigger job to do, at some point you need to switch to a web hosting plan that matches your growing needs. Here are a few signs that you should go ahead and make the upgrade. 1. Your website’s too slow. Website speed is crucial both to providing a good user experience and improving search engine optimization (SEO). A slow website frequently leads to higher bounce rates and fewer visitors, so it’s not something you can take lightly. If your website’s too slow, the problem could be that you’re not with the right hosting company, or it could be that your website has outgrown your hosting plan. If you find that your website goes over the Central Processing Unit (CPU) limit for your plan with any regularity, then you’re likely looking at our second reason to upgrade. 2. You’ve been getting more visitors. Basic web hosting plans typically use a shared server for a number of different websites. If any one website on the server (or several of them at once) see a big uptick in visitors, everyone’s websites will slow down. Quality hosting providers will do their best to address the issue anytime it arises, but if you’re getting enough traffic to regularly be the website causing the issue, then it’s time to move to a new hosting plan. If you’re seeing more traffic but the difference isn’t too extreme, an upgrade to cloud hosting may well do the trick. Cloud hosting typically provides double the loading time that’s common to shared hosting, with the option to scale your resources as needed for upticks in traffic. If your growth has been more extreme than that, it may be time to consider a dedicated server. Dedicated servers cost more than other types of hosting plans, but they’re extremely fast and give you a lot of control. If your site’s growth merits it, a dedicated server can make a big difference. 3. Your developer wants more flexibility. Shared hosting plans usually only support the most common types of software programs and updates that web designers make. For a good number of companies and developers that works just fine, but if you’re interested in pursuing changes to your website that require the ability to do more customization or use unsupported software, then you’ll need to switch to a hosting plan that provides that. A dedicated server can definitely provide that, but if your traffic hasn’t yet reached the point where a dedicated server feels necessary and you’d rather find a plan that’s a bit more affordable, then going for a Virtual Private Server, or VPS plan, should offer you the customization and control you need to do with your website whatever you want. 4. You want to run programs that require a lot of bandwidth. This relates back to the CPU limits mentioned above. Heavy traffic is one of the factors that can use up a lot of CPU bandwidth, but the programs you run on your website also play a role. If you want to host lots of videos, involved games, or other types of downloadable content that use up significant bandwidth, then you may need to consider cloud hosting, a VPS, or a dedicated server to keep your website’s speed and performance up to snuff. 5. You want more security features. If you run a business online, website security has to be one of your top priorities. Some basic hosting plans don’t include many features or options in terms of security, since not all websites require them. But if you’ll be collecting any kind of sensitive information from your visitors, especially financial information, then it’s your responsibility to do everything in your power to keep your website secure. If you started out with a hosting plan that didn’t provide security features, then you should upgrade as soon as possible to a business plan that satisfies your security needs. Upgrade your website for a better experience for you and your visitors. When your hosting plan is doing everything you need it to do, you won’t have to think about it much at all. Your visitors will be happy, your SEO will remain strong, and your website will be able to grow and change as you need it to. If you’re not at that point right now, then look into your other options and make the change today. Interested in learning more? Compare pricing and features for HostGator’s scalable web hosting plans. The post Is It Time for You to Upgrade Your Web Hosting? appeared first on Constant Contact Blogs. This entry was posted on Tuesday, May 23rd, 2017 at 2:00 pm	and is filed under Business Tips, Fresh Insights, News & Updates. You can follow any responses to this entry through the RSS 2.0 feed. Both comments and pings are currently closed.